Churches protest as bill affecting church-owned property, regulating real estate sales and levying city taxes to be debated on Christmas. Heads of local churches in Israel are outraged after hearing that the ministerial committee on legislation will debate a land expropriation bill on Christmas Eve. As reported by Channel 10, Christian leaders scheduled an immediate meeting on Sunday ahead of the government sit-down and contended that debating the bill shortly before their religious holiday is insensitive. "When the entire Christian world is at the onset of Christmas, the State of Israel decided - cynically and deliberately - to bring up the offensive and racist bill that selectively discriminates against Christians in Israel," said church leaders. "This is contrary to the prime minister's explicit promise to preserve the status quo that has existed for decades between the church and the state and its institutions." The bill would allow the Israeli government to seize lands which were sold by the Church to private investors and which have residential buildings. It was proposed by Kulanu MK Rachel Azaria following the sale of 124 acres of land in Jerusalem by the Greek Orthodox Church to anonymous investors. The land contains approximately 1,000 housing units. The State would compensate any individual or company which purchased the rights to the land from the Church. The Greek Orthodox Church considers itself the second-largest landowner in Israel, after the Israeli government, with properties in Jerusalem, Israel and Judea and Samaria. But in recent years, church leaders have quietly sold off several properties to anonymous investors fronted by companies registered in far-flung tax havens, causing homeowners of apartments on some of the properties to worry about unknown parties wishing to build on the sites of their homes. Dozens of heads of churches in the United States sent a letter to US Secretary of State Mike Pompeo in November expressing 'concern' over the 'Properties Bill'. 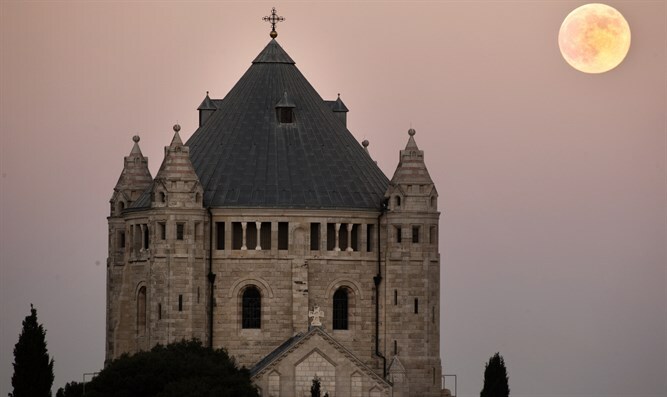 "When the bill was first introduced this past February (concurrently with a proposed municipal tax on church property) the Heads of Churches protested by closing the Church of the Holy Sepulchre in a historic act of solidarity," wrote the church leaders. "In response, eighteen religious leaders in the U.S., representing a diverse spectrum of Christianity, wrote to President Trump expressing the need to protect the vulnerable Christian community in Jerusalem and the Holy Land. Mr. Secretary, all efforts must be made so that a similar crisis may be avoided." The Christian leaders called on Pompeo to work with Israeli leaders to "ensure that this bill is halted permanently."